Figure 1 : Top: Yohan Tremblay ( left ) and François Audet (right) and bottom: SF partner’s technologies we use to reach your objectives. Casting buyer ? Decrease your current supplier’s cost or convert your welded assembly to a casting. And more products to come.What are your objectives? Figure 2 : Pass/Fail before casting for grain refinement, eutectic modification and shrinkage in aluminum currently available on the market. How reliable and cost-effective is your RPT? When and how much should you degas? 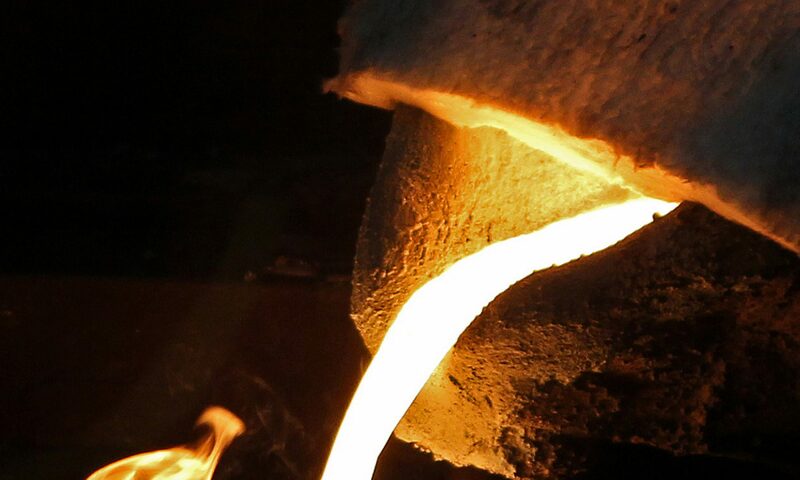 Foundry Solutions & Metallurgical Services Inc. is working with MeltLab® Thermal Analysis (TA) ( meltlab.com ) for porosity prediction prior to casting aluminum. Approved in 2016, the project was funded in Québec, Canada, by CQRDA.ca and initial trials have been successful. In 2017, A319 and A356 series are further tested for reproducibility and to verify the theories of others on how hydrogen, TiB additions and oxide inclusions affect porosity nucleation and growth–for instance, hydrogen is reported by Campbell and Dispinar to require oxide bi-films in order to precipitate and form a porosity. TA measures the energy of formation of each phase during solidification. By integrating the area for the event of interest versus the total area under the zero energy curve, the %energy for that phase transformation can be obtained. Contact us for a demo on porosity prediction! Next article will be on how we’ll integrate some of John Campbell’s casting defect solutions guidelines in our your castingdefect.com app. Free version available today on Google and Apple stores.